Vintage ca. 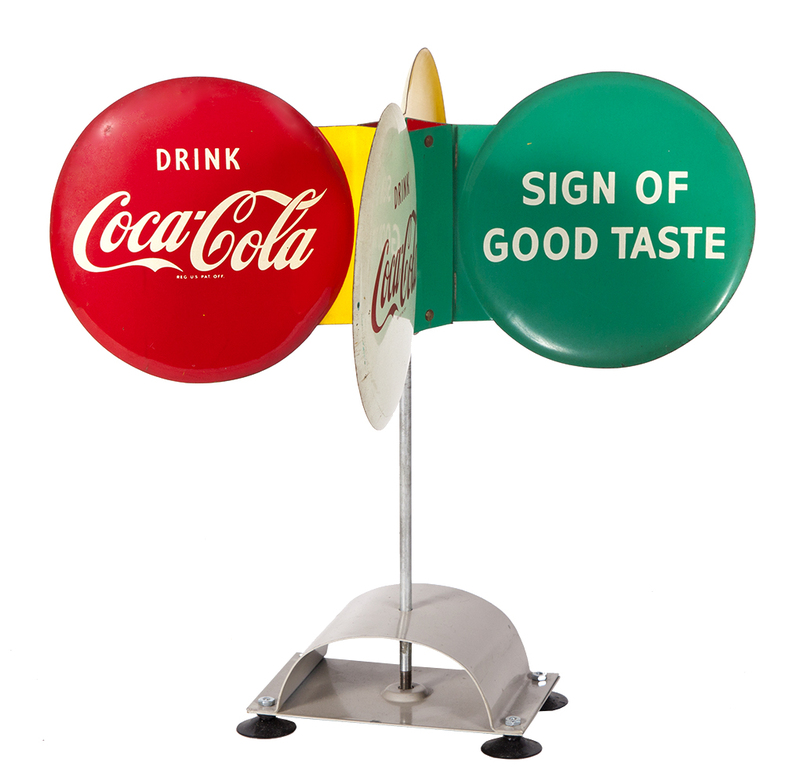 1950’s tin litho spinning whirligig type sign made for sitting on top of an early Coke machine (signs rotate on axis). 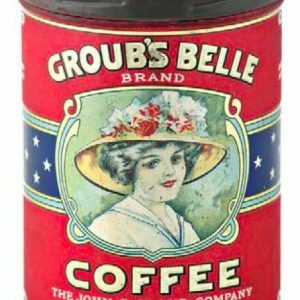 Clean, bright and very attractive (basically a C. 8.5/+), w/ exception of some heavy scuffs at 9 o’clock area of one of white signs and minor wear on another one. SKU: 92-126. 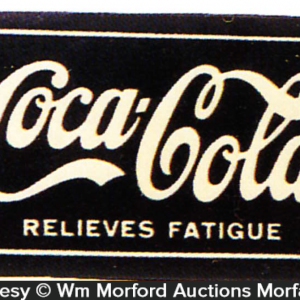 Categories: Antique Signs, Store Displays, Vintage Soda. 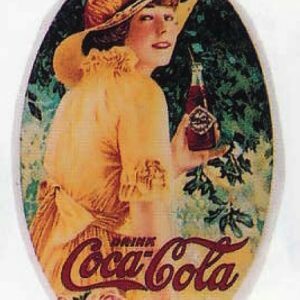 Company/Brand: Coca-Cola, Coca-Cola Co., Coke. 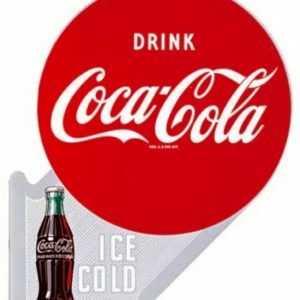 Coca-Cola Spinner Sign: Vintage ca. 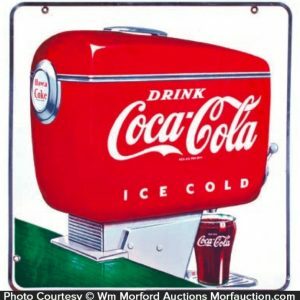 1950’s tin litho spinning whirligig type sign made for sitting on top of an early Coke machine (signs rotate on axis). 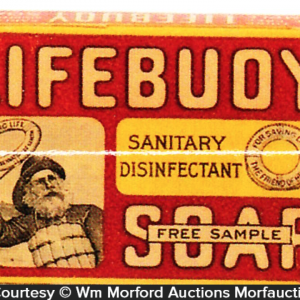 Clean, bright and very attractive (basically a C. 8.5/+), w/ exception of some heavy scuffs at 9 o’clock area of one of white signs and minor wear on another one.